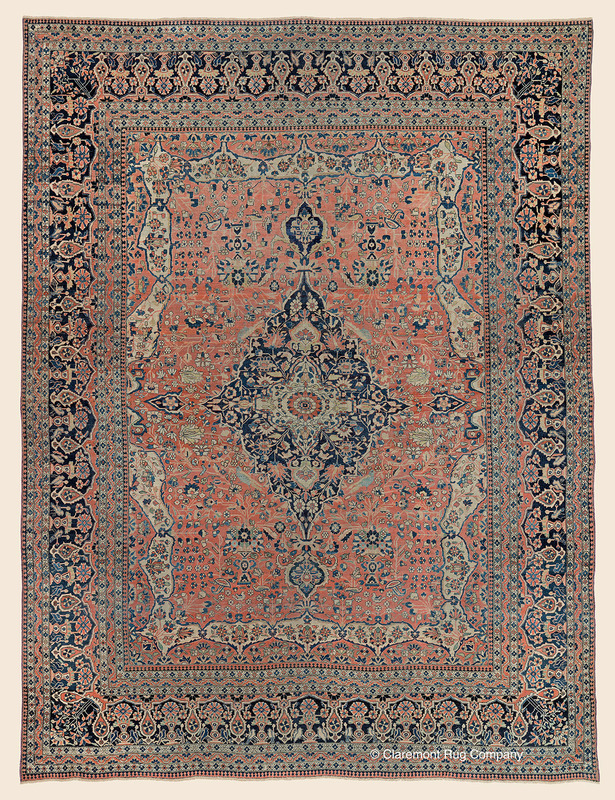 Search Our Inventory / All Rugs / 7&apos; 10" x 10&apos; 5"
7&apos; 10" x 10&apos; 5"
From the room sized category of Motasham Kashan, of which there are exceedingly few, this piece captures the constant innovation with this style�s well codified design. A unique garland device surrounds the masterfully abrashed reserve, as well as an array of playful flower heads adorning the nuanced field. The medallion is exquisitely drawn and the four graceful birds that surround it reinforce the elegance found in this refined piece, further supported by the classic seven border framing format cordoning off the interior. The soft, striated coral background of the field blends into the border guards and boteh of the main border, striking an evocative balance with the deep indigo found in the background of the medallion and primary border.